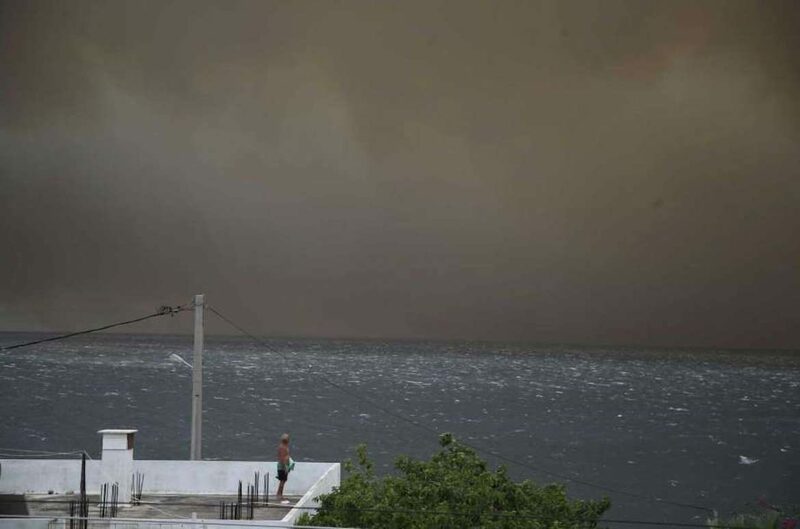 Authorities told residents of a beach town outside Athens, Greece to leave their homes as a fast-moving forest fire blazed Monday, closing one of the country’s busiest highways, stopping train routes and emitting large orange clouds of smoke over the capital. More than 200 firefighters and 60 engines have deployed from around Greece to stop the massive wildfire in Kineta, a small coastal town 35 miles (54 km) west of the capital on the Athens-Corinth motorway — a route used daily by tens of thousands of drivers going to the Peloponnese. A second fire also erupted at Mount Penteli to the north of Athens. Local officials said powerful winds near Kineta fanned the tall walls of flames, causing them to span up to 3.7 miles (6 km) wide. Scores of homes are thought to have been damaged or destroyed by the fire, and some residents used hosepipes to try and douse the flames as police helped others to evacuate. 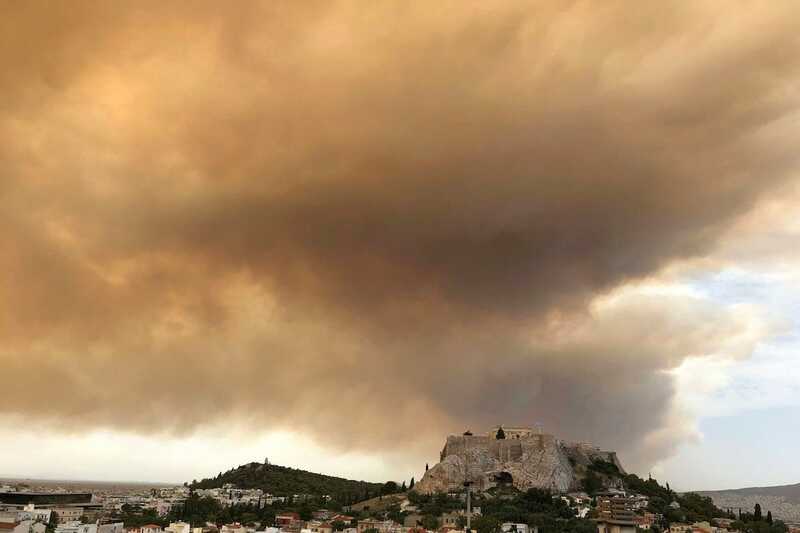 The wildfire blazed across land near the Saronic Gulf, making its way through tracts of pine forest and ultimately creating a cloud of smoke over the Acropolis hill and Parthenon temple in Athens. 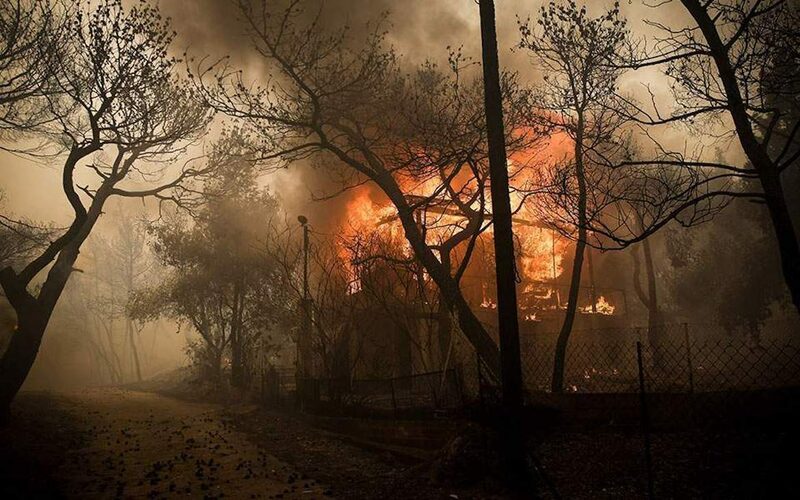 Officials speculate that the blaze started up in the mountains overlooking Kineta — a popular resort destination for Athenians. Greece has been known to have summer wildfires, the worst of which happened in 2007 when 670,000 acres of forest, olive groves and farmland were destroyed and dozens died; however, a particularly dry winter this past year has made conditions especially ripe for fires. The region west of Athens has also suffered other natural disasters in the past year. Last November more than 20 people died from flash flooding in the town of Mandra about a half-an-hour drive from Kineta. Just a few weeks ago in June, destructive floods hit Mandra again, although no deaths were reported. A clip from Greek TV station Skai (see below) shows the Monday wildfire in Kineta burning residents’ yards as they fled in cars and on mopeds. High temperatures of up to 104 Fahrenheit (40 degrees Celsius) have been predicted for Greece with authorities warning of high risks for forest fires. A house is engulfed in flames as wildfires rage in the coastal town of Kineta, Greece to the west of Athens. A man stands on the roof of a building near Kineta, Greece just , Monday, July 23, 2018. 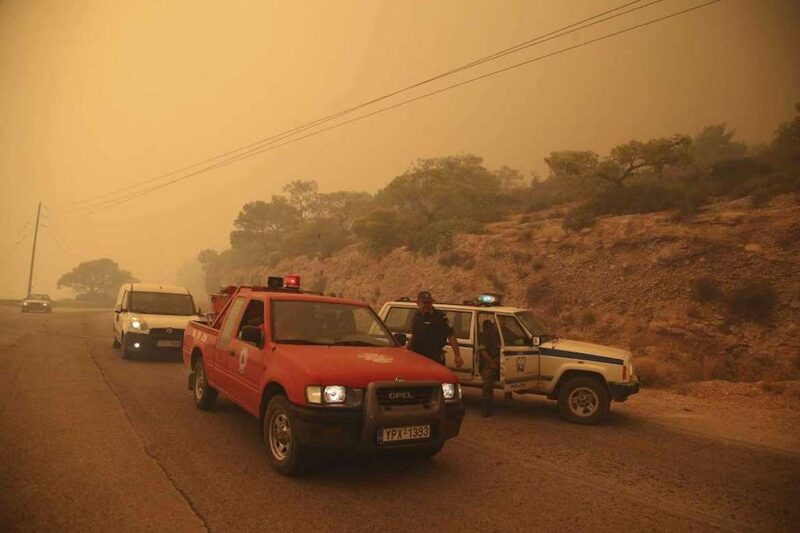 Residents were fleeing their homes Monday as a swift-moving fire blazed through a mountainous pine forest west of Athens and churned out smoke that turned the sky orange over the Greek capital.